We are happy to announce the project selection results for SDM 2016 at this time. This month’s newsletter also contains information about two upcoming events: the First Asian Conference on Biocultural Diversity; and the Hokusetsu Satoyama International Seminar, plus two recent events related to the “Indicators of Resilience in SEPLS” project: a training workshop in Ecuador and an assessment workshop in Japan. We are also happy to introduce one of IPSI’s newest members, The Commemorative Foundation for the International Garden and Greenery Exposition, Osaka, Japan, 1990 (Expo ’90 Foundation), and to share an announcement of a call for projects in Asia and the news of IPSI’s longtime friend Mr. Mangal Man Shakya’s appointment as a Regional Councilor of IUCN. In 2013, the Institute for Global Environmental Strategies (IGES), the Ministry of the Environment of Japan (MOEJ), and the United Nations University Institute for the Advanced Study of Sustainability (UNU-IAS) jointly launched the “Satoyama Development Mechanism (SDM)” as a collaborative activity under the framework of IPSI to facilitate further implementation of IPSI activities by providing seed funding to promising project proposals.The SDM Executive Board recently announced the six recipients of grants offered for the 2016 round. For more information, please see the announcement on the IGES website here. The First Asian Conference on Biocultural Diversity will be held from 27 to 29 October 2016 in Nanao City, Ishikawa Prefecture, Japan, with participation and presentations from researchers, practitioners and policy makers – including many IPSI members and friends – who will assess the relationship between biological and cultural diversity as well as their conservation and use on a local level. According to its website, the aim of this conference is to establish an “Asian Biocultural Model” for the sustainable use of biocultural resources for community development. The Conference is organized by IPSI partners the United Nations University Institute for the Advanced Study of Sustainability Operating Unit Ishikawa-Kanazawa (UNU-IAS OUIK), UNESCO, the Secretariat of the Convention on Biological Diversity and the Ishikawa Prefectural Government, along with the Nanao City Government. For more information on this event, please see the website here. This year’s Hokusetsu Satoyama International Seminar will be held on 12 November in Takarazuka City, Hyogo Prefecture, Japan. This is an annual event, focusing on the promotion of satoyama landscapes around the Hokusetsu area in Hyogo Prefecture, and their commonalities and comparisons with production landscapes and seascapes around the world. We are happy to report that this year’s event will include a presentation from IPSI Steering Committee member Dr. William Olupot from Nature and Livelihoods in Uganda. The event is organized by IPSI members the Hyogo Prefectural Government, the Institute for Global Environmental Strategies, and the Hokusetsu Satoyama Museum Steering Council, along with the Asia-Pacific Network for Global Change Research, with cooperation from the IPSI Secretariat among others. 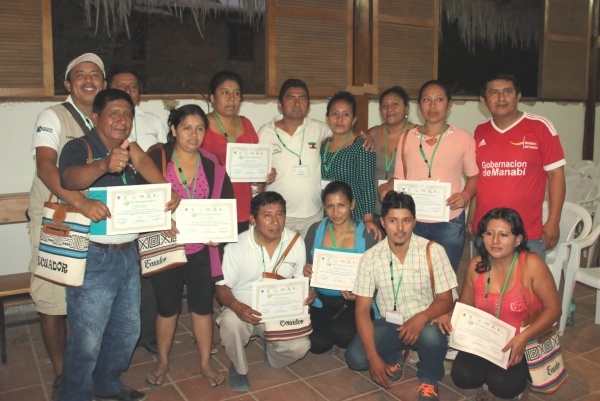 A training workshop was held from 7 to 9 October 2016 in Puerto López, Ecuador, to train participants as facilitators for resilience assessment using the “Indicators of Resilience in Socio-ecological Production Landscapes and Seascapes (SEPLS)”. The workshop was one part of the large-scale IPSI Collaborative Activity known as the “GEF-Satoyama Project“, with selected projects in three biodiversity hotspots – Indo-Burma, the Tropical Andes, and Madagascar and the Indian Ocean Islands. Each of the selected projects will use the Indicators of Resilience as a part of their assessment and monitoring, and will carry out various SEPLS-related projects partly informed by their results. The Indicators of Resilience were also created as part of IPSI’s Collaborative Activities (please see here and here for more information). This was the last of three regional trainings, previous ones having been held in Thailand and Madagascar earlier this year. The workshop consisted of indoor sessions to learn about the Indicators and their use, and a practical element with participation by members of the local community. The training was administered by staff members from IPSI members Conservation International Japan and the Institute for Global Environmental Strategies (IGES). 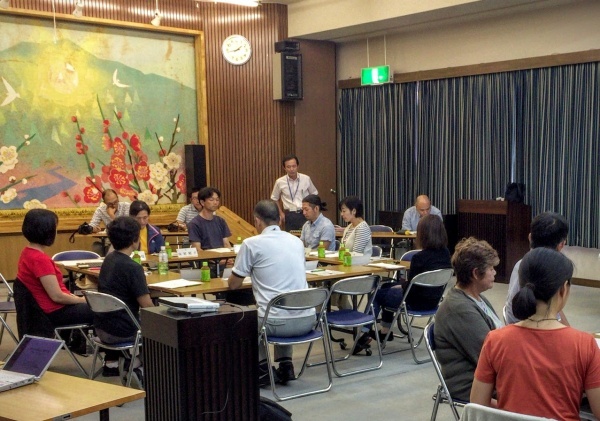 On 5 Oct. 2016, the United Nations University Institute for the Advanced Study of Sustainability (UNU-IAS) organized a Workshop in Minabe Town, Wakayama Prefecture, Japan, using the “Indicators of Resilience in Socio-ecological Production Landscapes and Seascapes (SEPLS)“ in cooperation with Minabe Town. A questionnaire survey was conducted in advance, and then 19 local people participated in the workshop itself, engaging in active discussion about resilience in the region. The workshop was confined to the Kiyokawa District of Minabe Town, and found that, while the livelihood of the community is supported by rich nature and community bonds, there are issues such as under-use of natural resources. The results of the workshop will be reported back to the local communities as a source of information for planning and implementing activities for their revitalization. The Commemorative Foundation for the International Garden and Greenery Exposition, Osaka, Japan, 1990 (Expo ’90 Foundation) was established for the continual commemoration of Flower Expo ’90. Its responsibilities are to manage commemorative funds and to promote activities in order to successfully live up to the main theme of the Exposition “The Harmonious Coexistence between Nature and Mankind”. Through its activities, the Foundation will continue to contribute to and cultivate a healthy and enriched society. Among its activities, it administers the International Cosmos Prize, which recognizes outstanding research activities and achievements both in Japan and abroad that are in line with this philosophy. It also provides subsidies for non-profit organizations (NPOs), research groups and other entities in Japan in order to support their R&D as well as other activities and events that contribute to promotion and development of the philosophy of Expo’90, and has a wide variety of other activities for green exchange, supporting green restoration, awareness-raising, education and others. Additional information about the Expo ’90 Foundation can be found on its website here. The IPSI Secretariat recently learned about an open call for projects from the Global Biodiversity Information Facility (GBIF), for the submission of proposals under the second phase of the Biodiversity Information Fund for Asia (BIFA) programme, funded by the Ministry of the Environment of Japan. • BIFA data mobilization grants will target taxonomic and geographic gaps in freely-accessible data relating to Asian biodiversity. These grants are open to any institutions based in Asia. • BIFA capacity enhancement grants will target challenges relating to knowledge and skills required for biodiversity data publishing in Asia, including language barriers. GBIF Participant nodes and groups of nodes in Asia may apply for these grants. Interested parties must submit concept notes to the GBIF Secretariat by 18 November 2016, using the templates provided, along with guidelines and eligibility requirements, on the GBIF website here. The Secretariat recently received the good news that longtime IPSI friend Mr. Mangal Man Shakya was elected as one of IPSI member the International Union for Conservation of Nature (IUCN)’s Regional Councilors for the South and East Asia region at the recent World Conservation Congress in Honolulu, Hawaii. We hope you will join us in congratulating Mr. Shakya and in our optimism that this kind of appointment will continue to gain attention for SEPLS in international policy-related processes. For more information including profiles of IUCN’s new Regional Councilors, please see the IUCN website here.